passion for performance always left people wanting more. 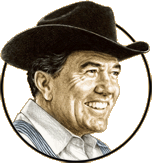 In 1967, racecar legend Carroll Shelby transformed 200,000 acres of mining ghost town into sacred Texas ground: the first-ever chili cook-off at Terlingua. 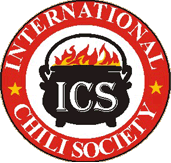 What began as a non-stop party of fire-breathing chiliheads morphed into an annual, world-famous championship, and Shelby and fellow judge C.V. Wood founded the International Chili Society (ICS). make it one way one time, another time, a little different. Make it up to suit your mood." Texas born and bred, the baby Stetson was born in 1923 in Leesburg, a teeny little town just east of Dallas. In 1940, he graduated from Dallas' Woodrow Wilson High and enlisted in the U.S. Army Air Corps. During his time as a WWII flight instructor and test pilot, he courted his fiancee by dropping boots with love letters onto her farmland - from his airplane. After flight-instructing, Shelby also tried his hand at dump-trucking, roughnecking, and chicken farming before finally saying, "To hell with this, I'm gonna do what I love." And that was hot-rodding. 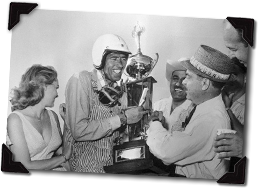 The fast-talkin' Texan (who once won a race with his shattered arm taped to the steering wheel) is considered one of the greatest racecar drivers of all time. Twice named Sports Illustrated's Driver of the Year, his victories ranged from Torry Pine to the Le Mans 24-hour, with innumerable accolades scattered between. A heart condition forced him to retire early, so Shelby shifted from driving to designing and made even more history. By stuffing Ford's big ol' V8 engine into a lightweight English roadster, he began a famous lineage of Shelby muscle cars. After cooking up the Cobra, he was commissioned to tinker with another famed sports car: the Ford Mustang. Still revered and collected today, Shelby's special-edition Mustangs remain as legendary as his taste. Shelby approached his cars the way he approached his chili: by starting with a base, tweaking it to his taste, and taking off in whichever direction suited him best. So go ahead - fix that bowl of chili however it suits you. Carroll Shelby makes it authentic. But you make it original. 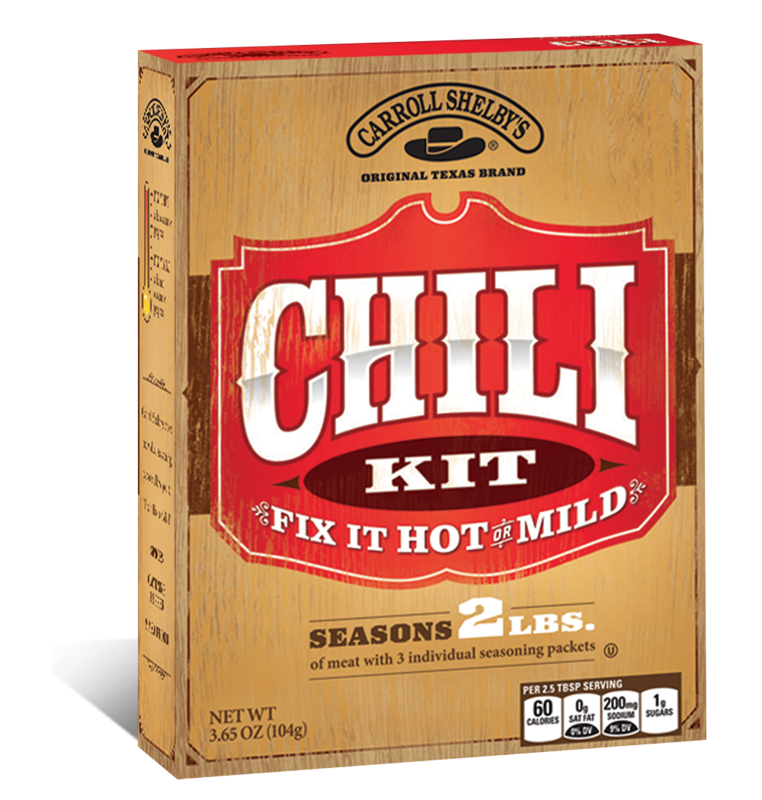 Get the latest recipes and offers from Carroll Shelby's Chili Kit.